we have a particular professional interest in the spatial separation of teaching nodes and learning locations. Clearly, the ever increasing need to hold jobs while attending school makes the synchronized and face-to-face convergence of teachers and students expensive and restrictive. We need to experiment with new ways of permitting students to organize their employment and academic lives more efficiently. The asynchronous nature of E-mail and Web page communication is well known. We need to combine these temporal conveniences with "flexible education spaces" (or partially remote learning environments) into more adaptable educational time-space continua. With increased availability of electronic access at home or public places (libraries, internet cafes etc.) in the outer fringes of (or beyond) traditional hinterlands of existing universities, a reduction of commuting needs or residential relocations of students coming from greater distances and/or subject to tighter work/study schedules should go a long way towards improving learning environments for those students who do not wish to embrace the extreme forms of distance education void of any face-to-face interaction. A remote learning system combines on-line service information and remote user information with a television signal designed to be received by students using multimedia per sonal computers. What is pedagogy ? & pedagogical theory of distance education ? khuram wrote: A remote learning system combines on-line service information and remote user information with a television signal designed to be received by students using multimedia per sonal computers. what is the relation between distance and remote learning ? u should tell us about it ? plz tell me wat u mean by, Distance learning is a flexible form of learning? Distance education, flexible learning or study by correspondence offer the opportunity to undertake a course of study while balancing other commitments. This mode of study means that you can undertake a course of study without having to attend lectures ‘on campus’. You can study from home or in a remote area without having to relocate. You can be a part time or full time student. You may choose to do your entire course by distance education or choose to do some by distance and a component face to face. a universal remote is a control that can be programmed to operate various brands of one or more types of consumer electronic devices .loe end universal remote can only control a set number of divices determind their manufacturer while mid and high end universal remote allow to use programmes new control codes to the remote. so u mean, we have to use dictionary to understand ?? u cant even help us in what you've posted ? Relation between Distence and Remort learning. 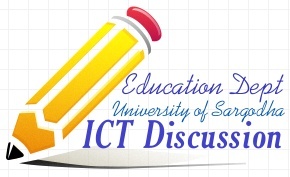 In a distance education subjects are taught with the help of self instruction materials called a SIM.Once or twice in the academic year of education the enrolled & admitted student is called for contact programme where subjects are quickly brushed(/teaching will be done in crash programme).The student has to make self study & appear for exam as per schedule intimated by post/Email. In regular face to face education the student's attendance is compulsory & attending the college is compulsory.Teaching will be done face to face & no SIM is issued. Some colleges provide brief study materials for study. In broad terms, remote access refers to workers being able to access data or resources from a remote location. Traditional remote access solutions used dial-up technologies to allow employees to connect to an office network via telephone networks connecting to remote access servers. muneeba hassan wrote: Relation between Distence and Remort learning. but the question was, describe the relationship between distance and remote learning ? ?